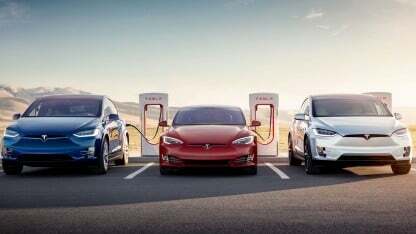 The use of Tesla fast charging stations has cost new customers money for some time. Now, the company has partially increased the prices for the shop. Why Tesla is so drastically increasing the electricity prices of its superchargers, is not known. However, the fact is that they are rising more or less. The supercharger fees were raised by about 30 percent. In Germany, charging over 60 kW now costs 46 euro cents per minute, while previously costing 34 euro cents. Charging under 60 kW now costs 23 euro cents per minute and no longer 17 euro cents. In Austria, the price was raised from 0.23 to 0.31 euros per kWh, and in Switzerland customers now pay 0.34 Swiss francs instead of 0.25 Swiss francs. Tesla currently has 1,422 stations with more than 12,000 charging stations in operation and is currently expanding the superchargers of the third generation, which should load much faster. More details are still pending. In addition, the Supercharger will be extended to the CCS standard, because the Model 3 in Europe uses this charging port.